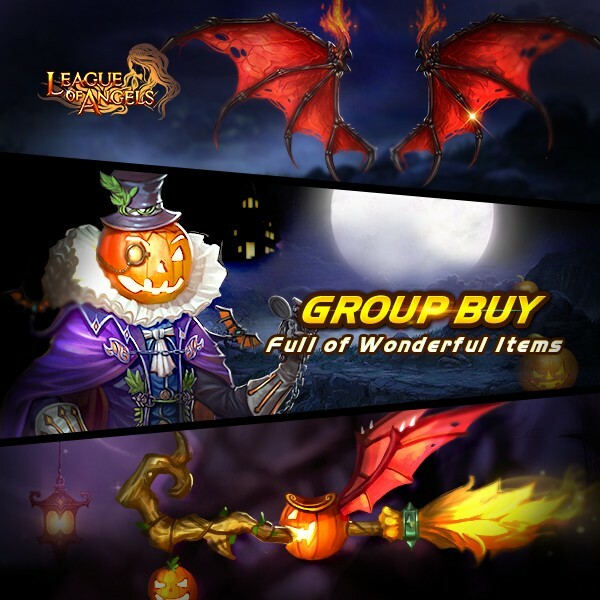 The items in this event include Magic Broom, Halloween Costume, bat wings, Fortuna's Icon shard, Enchanted Ore, Soulstone, Dark Soulstone, Light Envoy Shard, Darkspirit Ram Soul Shard, Crystal Reindeer Soul Shard, Reindeer Soul Shard, Seraph's Stone, Blessed Stone, Gem Enhancement Stone, Refining Stone, Element Crystal, Runestone, Ruby Herosoul, Aegis Shard, Angel Tears, Enchanted Ore, Synth Scroll, Adv. 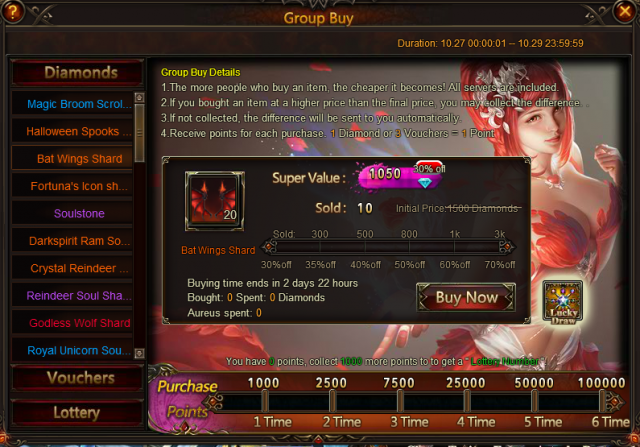 Energy Card(50), Dragonsoul EXP Pack (100), Element Scroll, Energy Vitamin, and so on. More exciting events are coming up through Oct 27 to Oct 29 (server time), check them out in the in-game Hot Events menu now!